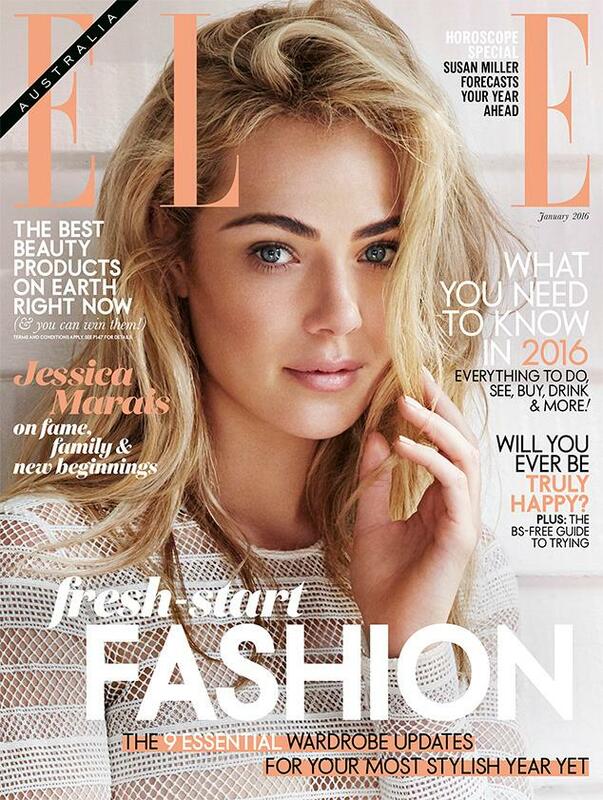 The Australian actress with arguably the best set of eyebrows I have seen - and a mesmerisingly stunning face - is the cover star of Australian ELLE magazine for January 2016: Jessica Marais. She has spoken exclusively to ELLE Australia about motherhood, shifting boundaries and her next big role in Channel Ten’s new drama 'The Wrong Girl'. “It’s funny; I think I looked at a lot of my life almost like a script for a long time. Where does this all end up? Instead of realising that the story is just the story and it’s happening and it’s that moment,” Jessica says, in the interview. The interview, one of Jessica's first after a tumultuous year following her break-up with long- time partner James Stewart, reveals a fresh new start for the very talented actress (did you see her in the TV doc-drama 'Carlotta'? Incredible). The January issue of ELLE Australia featuring Jessica Marais on the cover is on sale 28 December, 2016.